While Cadillac only has two options for someone looking for a bigger car, the brand’s take on the SUV is just as revolutionary as their sedans. At Bill DeLord we make it our mission to help shoppers in the Cincinnati area find their ideal vehicle. Even with just two options, Cadillac SUVs have as everything you’re looking for in a luxury SUV. With a starting price of just under $40,000, the XT5 is one of the most versatile luxury SUVs on the market. With an interior that can create up to 63 cubic feet of storage space the interior can adapt to whatever situation you may find yourself in. Along with great storage solutions, the 2017 XT5 also has class-leading legroom for front and rear passengers. Everything about the XT5 makes it perfect for a long road trip. The XT5 Crossover is supported by an advanced safety system. The system utilizes a sophisticated network of radar and cameras to monitor roads and alert the driver to possible collisions. 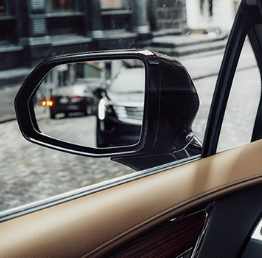 Cadillac’s patented Side Blind Zone Alert gives the driver an extra set of eyes so they can see their car relative to the road and other drivers. The XT5 also provides its drivers with pedestrian collision mitigation systems, lane departure warnings, and a head up display to enhance driver’s awareness. Ever safety feature in the XT5 is is designed to give the driver peace of mind. Not all the high-tech features in the XT5 are for safety. Cadillac’s crossover has a ton of tech to keep everyone in the car entertained and the drivers performing at their best. The array of camera hosted by the XT5 allows drivers to get a 360 view of their car form within the crossovers infotainment system. The infotainment system also allows you to integrate your phone so you can get updates, control music, and scan through contacts all from your seated position. Underneath the hood, the XT5 boasts a 3.6L V6 engine that generates 310 horsepower, and is more than capable to handling anything you could throw its way. The Escalade is Cadillac’s premier SUV. 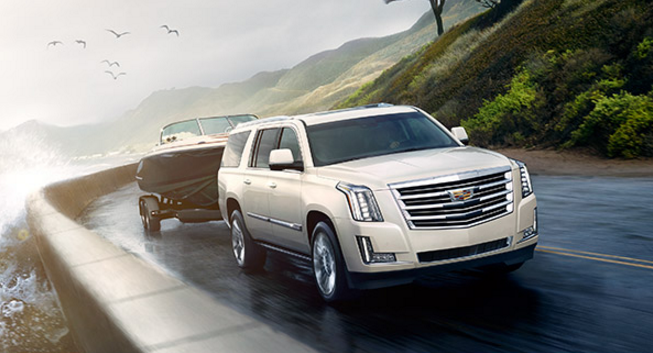 From a performance standpoint, the Escalade is an absolute powerhouse. With a V8 engine that produces 420 hp and can tow over 8,000 lbs, the 2017 Escalade could out work some of the best trucks on the market. Paired with 4WD, the V8 engine can give you the power you need when you need it. The Cadillac Escalade also comes with a ton of high-tech safety features. Just like the XT5 the Escalade has an advanced array of cameras, which allows the driver to get a 360 of their vehicle. The truck also comes along with keyless entry and safety alert seats. Even more spacious than the XT5, the 2017 Escalade can create up to 121 cubic feet of cargo space. This truck can hold 8 people comfortably with best-in-class legroom. The interior is also equipped with a 16-speaker Bose surround sound system, and cut-and-sewn detailed leather seats. These features lead to a remarkably elegant interior that offers a fantastic ride. Visit our Bill Delord dealership for more insights on Cadillac SUV inventory in Cincinnati area!